I’ve really just barely dipped my toes into the whole world of donut DIYs, but since the last one went so well, I thought I would try another. And what better time to do it than right now, since National Donut Day is this Friday. So, playing to the fact that summer is right around the corner, I made watermelon donuts. 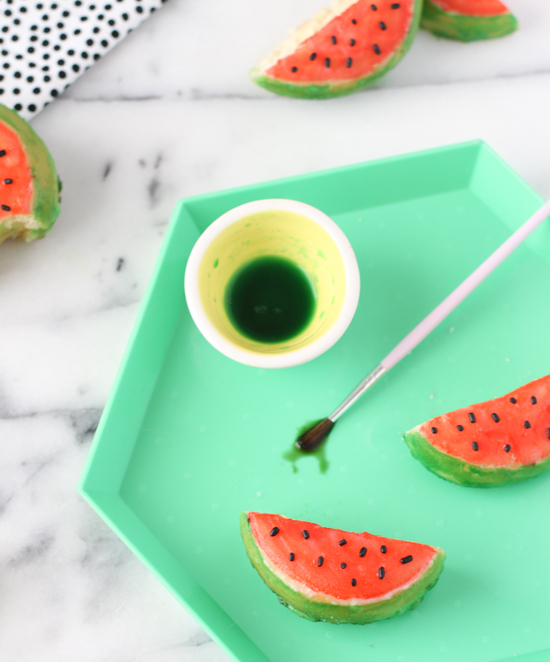 Because nothing says summer like watermelon, right? Plus, it’s my second favorite fruit (strawberries are my #1). After playing around with several kinds of donuts and the right consistency for the ‘paint’, I was able to figure out the best way to make these colorful treats. You can either use store bought donuts, like I did, or make your own from scratch. There are some awesome donut recipes out there. These two look pretty yummy, if you’re taking suggestions… 1) vegan glazed donut recipe or 2) try this grapefruit glazed donut recipe for a fruity kick. Whether you make your own or buy them, though, you’ll want to make sure the donuts are light in color, so that the paint will show up more easily. 1. Cut donuts as shown in the photo, cutting out the hole and remaining side pieces, to create the watermelon shape. 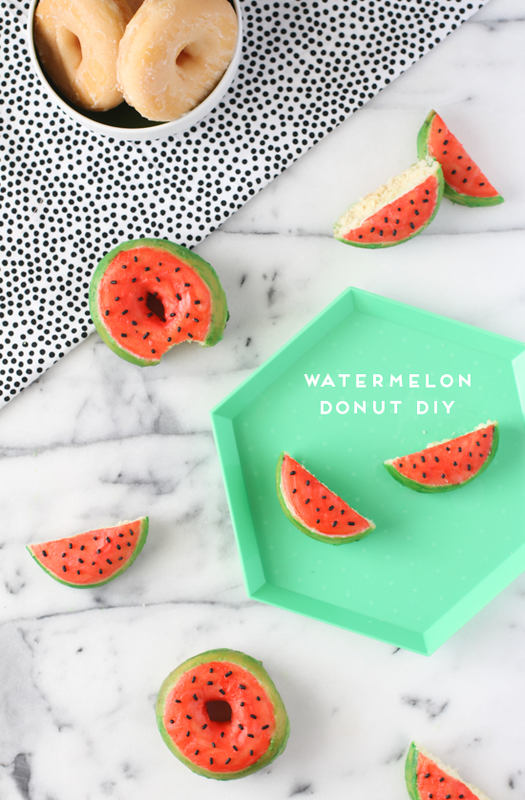 You’ll get two watermelon shapes from each donut. Discard small pieces that are left over, or make tiny donut watermelon slices if you’re feeling ambitious. 2. Next, mix your paints with a small amount of food coloring gel and a little bit of vodka. Alcohol will evaporate quickly, which makes it the perfect liquid to use for creating an edible paint with gel food coloring. **If you don’t want to use alcohol, try lemon extract. I haven’t tested it myself, but I think it would do the trick. 3. 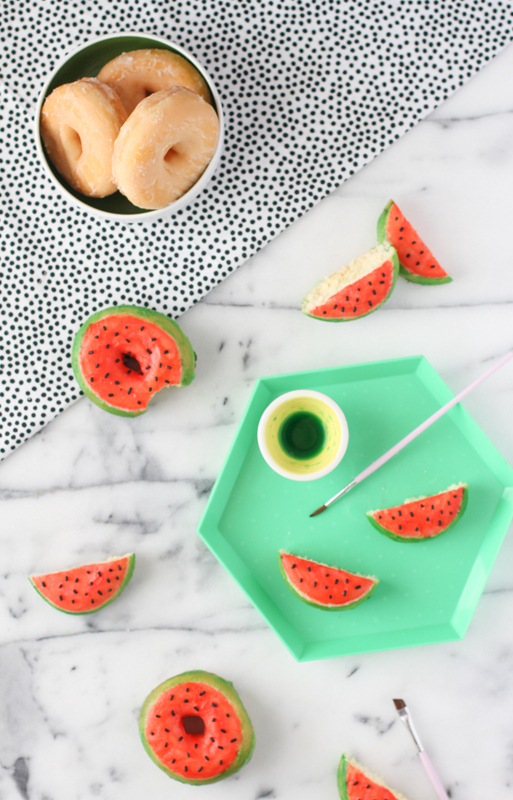 Next, paint the green watermelon rind on the lower part of the donut and the sides, as shown in the photo. 4. Then paint the pinkish-red inside. I mixed equal parts pink and red (again, with vodka) to get the color you see in the photos. 5. Give the paint a little bit of time to dry. Then, add small black sprinkles on top to create the watermelon seeds. I poured out the sprinkles on a plate and picked out the smaller pieces that looked most like seeds to me. You don’t have to do this, obviously, but some of those sprinkles are pretty big to be considered seeds, so I tried to find ones that fit best, scale-wise. Side Note: Before switching to sprinkles, I attempted to paint the seeds on. And it looked awful. My brush wasn’t small enough and it looked super messy. So that was a no go. to save yourself the headache. 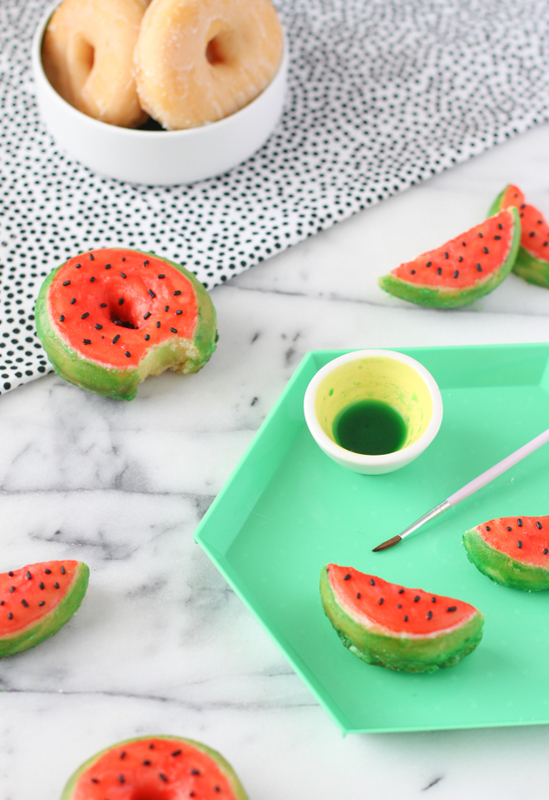 Also, if you want to create whole watermelon donuts, you can do that just as easily, by following steps 2-5. The only difference, really, is that you aren’t cutting the donut into pieces before painting. What do you think? Think you might whip up a batch of these for Friday’s donut day? 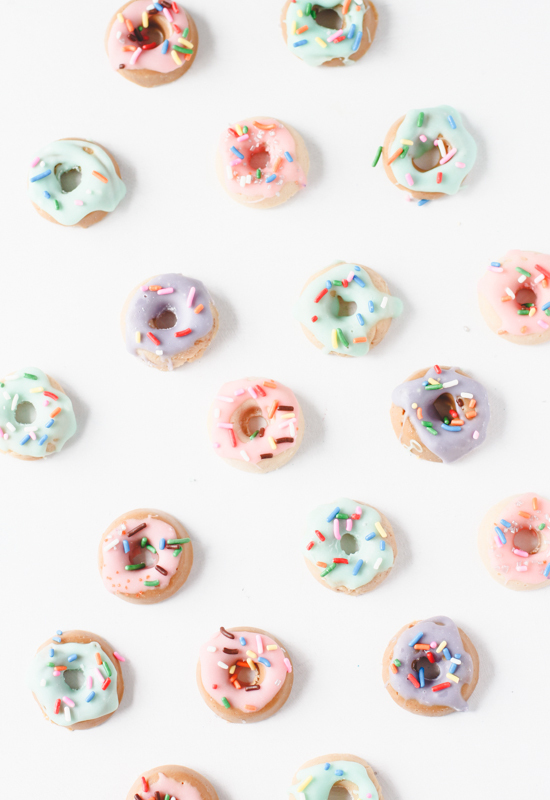 For more donut ideas, check out my DIY ombre + color blocked donuts. Too cute for words! 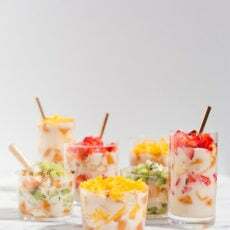 Perfect for a summer party. Great, this is such a fun recipe. I think the metaphor “a wolf in sheep’s clothing” bring it to the point. Really an awesome idea! These look yummy…although I’d have to keep away from the kids!! If you’re concerned about the vodka aspect, Jessica, you can try lemon extract or cornstarch. I haven’t tried it myself, so I’d love to know how it goes. Thanks Carmen. I’ll definitely be making more of these for pool parties this summer. And maybe try some other fruits as well. Oh you KNOW you won my heart with these, Britt!! 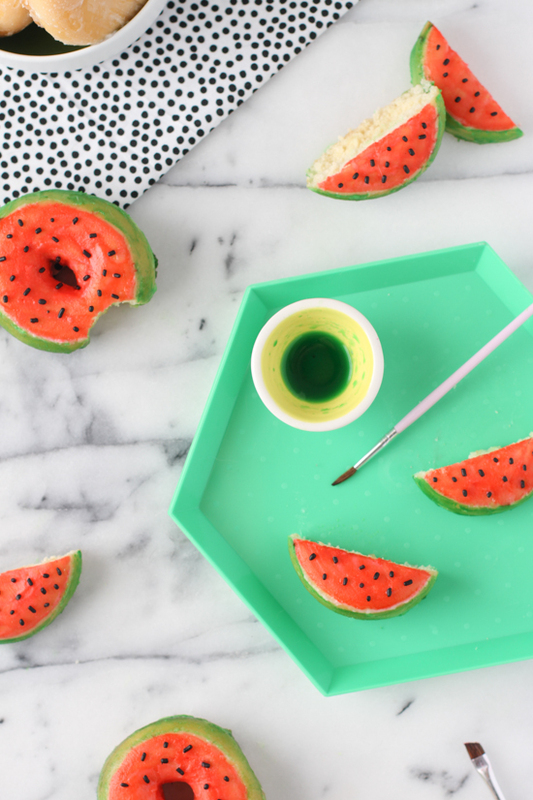 They are amazingâ€¦ and the fact that you cut them to make watermelon slices! Kills me!! Haha. Thanks Kel. 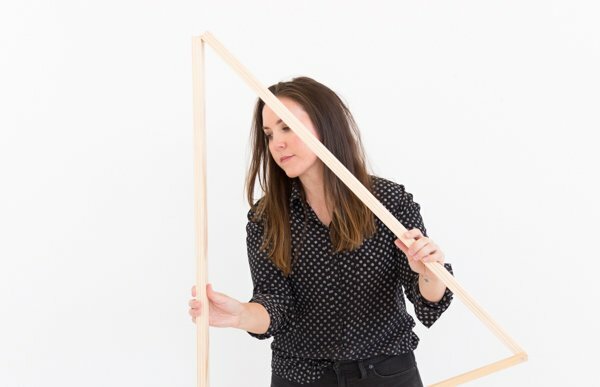 I think I was channeling my inner Studio DIY with this one…You have definitely rubbed off on me. These are freakin’ cute! I am blown away. Aw, thanks Kristin. I’m totally addicted to painting donuts now. Haha. Thanks Leen. They were fun to make. I JUST DIED OF WATERMELON DONUT CUTENESS!!!!!!! AGHHHH i love them! Aw, you’re the sweetest Lyndsay. Thank you. Wow! These are so cute and so fun! Thanks Alexis. I definitely had a lot of fun making them. AHH I just made watermelon rice krispie treats and I freaked out when I saw this post 🙂 I want to try these now! Watermelon rice crispy treats!? Awesome, Grace. I might have to try those. Ermahgerd, donuts AND watermelon are my two faves.. love it! May Designs Blog » National Donut Day! 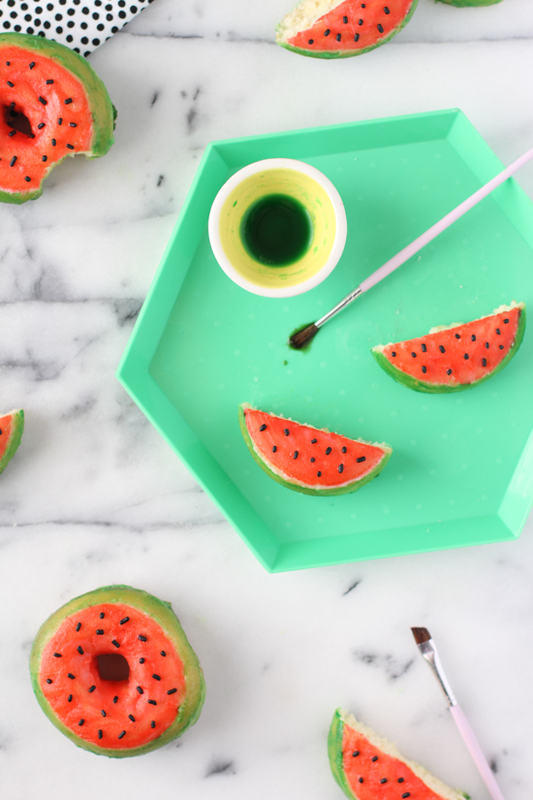 🙂 Great idea n fun to do…Kids definitely love these cute watermelon pieces! Amazing and so cute!!! love this donuts! These are so adorable! You’re so clever! hi, such a lovely diy!!! loved the photos. I love this!! And the tray is so beautiful!